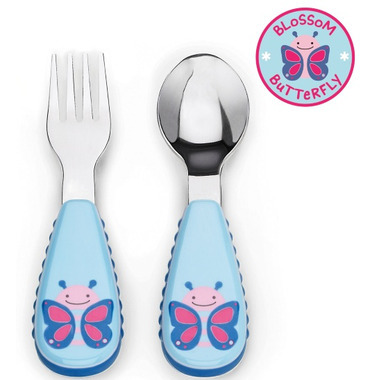 This adorable fork and spoon set has soft side gripes so they're easy for little ones to hold. 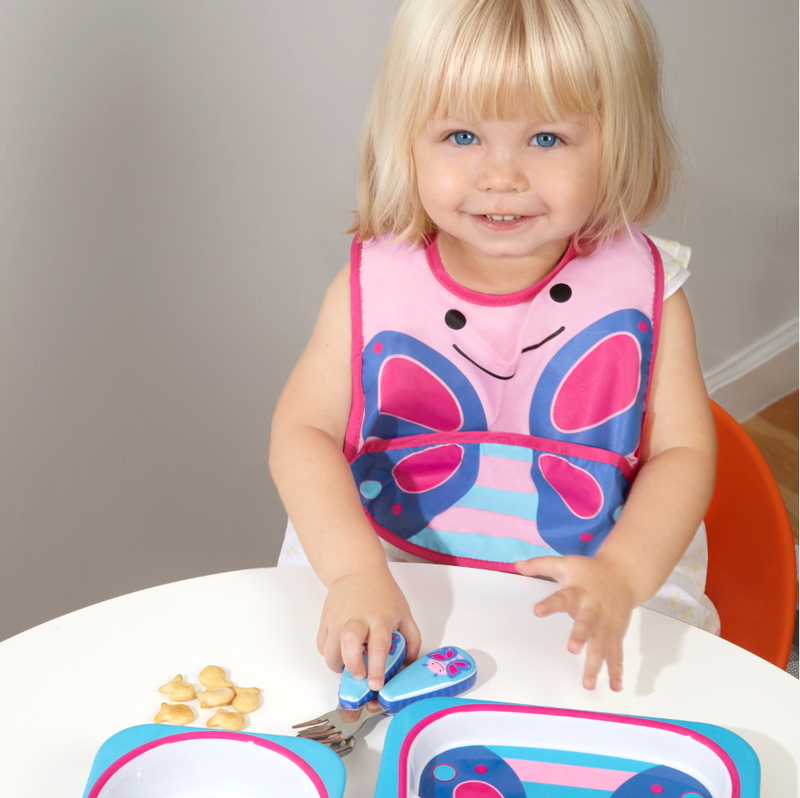 Stainless steel heads make the utensils feel very grown up for little ones. Cute and sturdy but a little clunky.